There's nothing I love more than throwing on a comfortable dress and fooling the world into thinking I've made an effort. I'm literally in love with sheer dresses that tie at the waist with added lace or crochet detailing, so when I found this beauty on Dressin for under £6 I knew I had to have it. I decided to style it a little differently than my usual summer looks, after all, if you can't dress experimental on your fashion blog then when can you? I dug out these brown Bon Prix cowboy boots from the back of my wardrobe and paired them with a fringed bag and tons of gold jewelry. 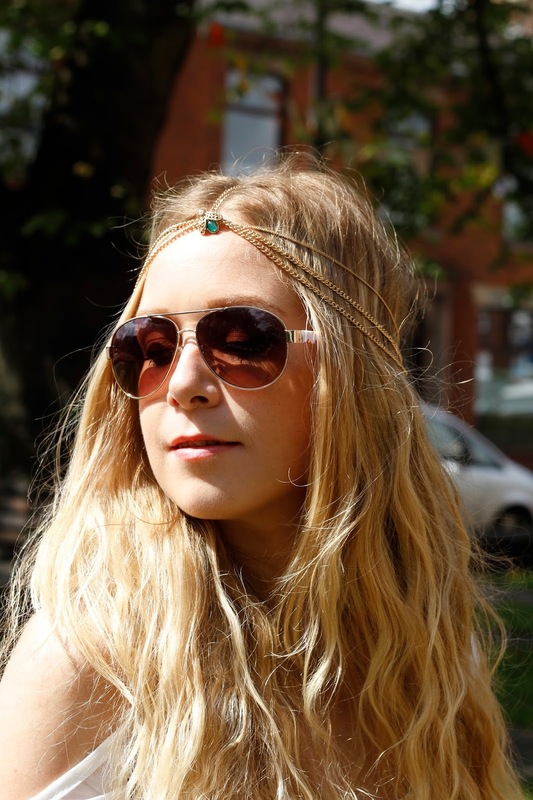 Boho is definitely my favourite trend right now! Check out the Dressin website for tons of bargains like this one! I have a dress really similar to this from New Look. I love the way you have styled this; might have to pinch some inspiration from this look! I found your blog on the #bdib chat tonight and have followed. You look amazing. Love the dress! 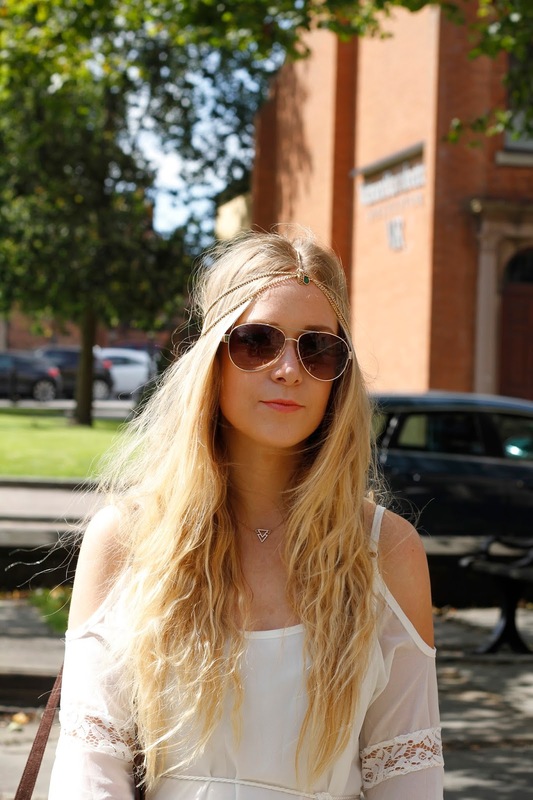 Love this boho dress - you look amazing! oh my gosh this dress is amazing! I wish I had seen this before my summer holiday, I definitely wouldve got this and taken it with me! 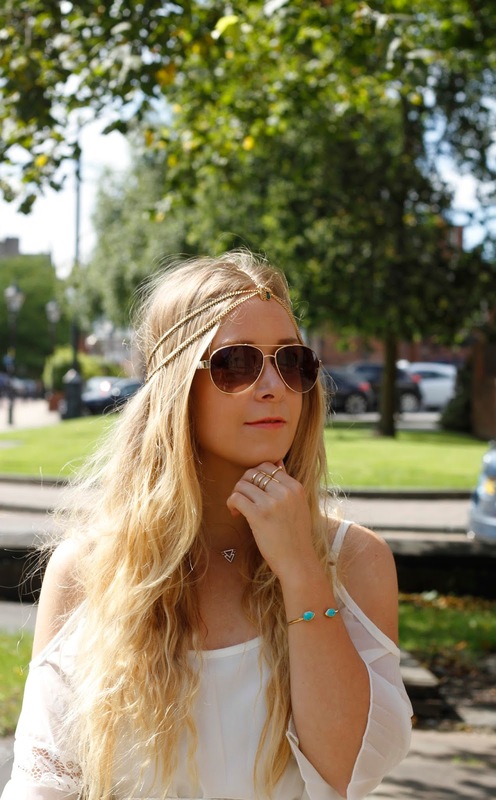 Love this post and so so happy that I have found your blog :) so nice to see a fellow Manc Blogger too! Great dress! Love the styling!